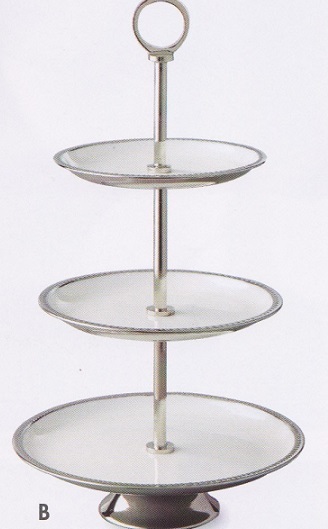 3-tier serving stand. Enameled trays trimmed in stainless steel. Stainless steel supports and base. Trays measure: 7" , 8.5", and 10" dia. 21"h.